Ibrox Noise: Should Rangers make move for prize SPL free agent? Should Rangers make move for prize SPL free agent? There is a lot of talk right now about what players Rangers need, and what players Steven Gerrard and Mark Allen have earmarked to overhaul this rather feeble Rangers into the machine we know they should be and can be. A number of players have been linked, in fact, a greater number of them than we can probably ever recall in any other transfer window – a whole host were named before the window even opened, and three of them signed up before June 1st was even upon us. One such, briefly, was Hibs’ John McGinn, but with his Celtic connections and his own concession that he was happy to get away from football recently (Scotland’s tour of South America featured the playmaker) was an indication he was more than a touch tired of the speculation. Rangers’ own distance to the internationalist has also increased, and a great number of fans have lost interest in even wanting him; furthermore Sunderland are said to be keeping tabs on him, with a value of £3M (£8M to Rangers) floating around for his services. Meanwhile, supporters at Ibrox have moved onto instead to the player many argue actually makes McGinn the player he is, his Xavi to the Iniesta. 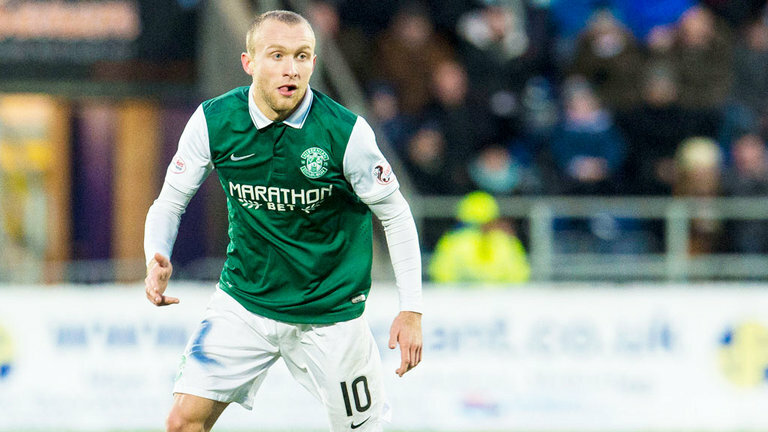 Dylan McGeouch is the most prized free agent in Scotland now, with the central midfielder allowing his Easter Road contract to wind down and keeping his options open – he looks certain now to switch to a new club, and while a great number of Rangers fans are eager to secure him at Ibrox, Rangers’ midfield count is certainly an issue of contention. Originally the 25-year old began life as an attacking midfielder, but as he grew and matured, he began to withdraw back into the central position, a slot Rangers probably lack genuine quality in. The only established CM Rangers really have these days is Graham Dorrans, and it’s telling how few fans have noted him as worthy of a chance under Stevie Ger. The rest are all essentially defensive or grafters; Jack, Docherty, McCrorie, Rossiter, Holt, Halliday – Rangers could certainly use a more forward and dynamic midfielder like McGeouch in their ranks, and the price for him is equally attractive. He will have no shortage of suitors (Sunderland and Hull City are also credited with interest), so if Rangers do want him, they had better make their move fast. Miller's a free agent and 38 years old - not much of an asset really is he? Miller 8m What air miles??? Nope. Another O'Halloran situation in waiting.No more players of questionable heritage at Rangers. Doubt we'll get away with charging for someone who has left the club! Not even Lennon is that stupid. Halliday and Holt should go. Jack , Rossiter and Dorrans- jury out because of injuries. Docherty and McCrorie - young potentials only. So difficult to say. Stevie has tough job. Maybe we have too many but maybe we have too few. Miller is a free agent and Lennon has already said he would talk to him. Keep Docherty, McCrorie, Rossiter. Jack is a maybe. Holt and Halliday to move on. To be honest wouldn't cry if Dorrans moved on. Bring in McGeoch, move Murphy inside and make a jersey for Middleton. KM is not on Rangers books mate... a free agent! Not for me, we should be looking for better. to dylan m played for us before and could have a point to prove. Look, we don't need midfielders! In Jack, Docherty, Rossiter, McVeigh and (the much maligned) Dorrans we have more than enough regIstrars to improve. Similarly, we don't need singers with Murphy, Candesis, Windass, Middleton and Arfield. What we need and, hopefully, Gerrard is progressing are central defenders and out and out strikers. Three is each category and we're sorted! Who will come and who will go nothing will be left up to us to decide but i would stay clear of him.